True productivity is not about working long stretches and getting it all done. It’s about choosing what you say yes to and what you say no to. It’s about maximizing your impact in areas that are significant to you and where you make the most difference. Being a team player, volunteering for extra duties, and offering to help are positive behaviors. But saying yes to every request can lead to missed deadlines, low-quality work, delays in critical projects, high stress, lingering resentment, and failure to keep commitments and promises. (a) You want to be friendly, agreeable, liked or popular. (b) You think you would harbor a sense of guilt if you walked away. (c) You fear you will not be called upon for future opportunities if you pass on the present request. (d) You believe you have no choice. 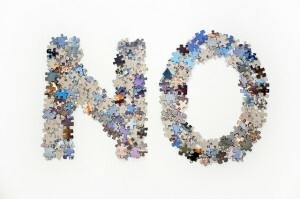 (a) There are many ways to say no without getting blacklisted. (b) There are times when you must walk away from stuff that’s wrong for you or distracts you from your real priorities. (c) There will be future opportunities if you state that you would love to help, except the request involves areas outside your expertise or focus, or you have prior commitments that are non-negotiable. (d) The decision to not over-commit is always a choice. (1) Do you lack the interest, knowledge, resources or skills to complete the task efficiently and effectively? (2) Is there a more appropriate person who can do the task just as well, if not better? (3) Will handling it consume too much of the time you need to tackle your major projects? (4) Are you capable of higher-level work that would provide greater value? (5) Are you getting dumped on with other people’s priorities? The more yes’s you have to these questions, the more reasons you have to say no. If no seems too drastic, you could say not now, ask for more time, or refer someone else. But think before you jump to yes — or you could wind up earning the reputation of being unreliable or scattered. When you’re busy reacting to distractions, interruptions, and other people’s issues, you will be less focused on your major projects and top priorities. Feeling overwhelmed saps your energy and blocks your creativity. But when you clear out clutter and tune out static, you can be truly productive. You can savor the present, live your vision, and produce amazing results in areas where you really want to be and where others need you the most.